The mandate of the Soil Mechanics and Foundations Division is to promote classical geotechnical and foundation engineering research, to promote the documentation of case histories and experience of practicing engineers, and to promote and facilitate the continuing education of our members. This occurs through the regular technical meetings at the local level, through short courses and symposia, through support for the Cross Canada Lecture Tour, through our annual conference and via our liaison with the International Society of Soil Mechanics and Geotechnical Engineering. The Soil Mechanics and Foundations Division is affiliated with the International Society of Soil Mechanics and Geotechnical Engineering (ISSMGE). The Soil Mechanics and Foundations Division (SMFD) is now soliciting nominations for the G.G. Meyerhof Award 2019 awarded yearly by CGS to an accomplished geotechnical engineer with outstanding contributions to soil mechanics and foundation engineering. This award is given to CGS members at the CGS annual conferences and facilitated by the SMFD. Nominations are due by May 15 to the National Office (admin@cgs.ca). The nomination package may include letters of support detailing the contributions of the qualified candidate and a full CV of the candidate if applicable. If you have any questions related to the nomination process, please contact Lisa McJunkin (admin@cgs.ca) or the Division Chair Dr. Dipanjan Basu (dipanjan.basu@uwaterloo.ca). In 2018, Dr. Jean-Pierre Tournier won the award for his life long contributions related to geotechnical engineering in design and construction of infrastructure projects. The other past Meyerhof award recipients can be found at the CGS website. 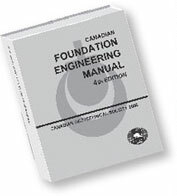 Please contact the Soil Mechanics and Foundations Division at SMFD@cgs.ca if you have any comments or suggestions.